"Once you’ve worn cashmere, it can be hard to go back to polyester." Illustrations by Adam Nickel. Don't own your own plane? Think about using a service like NetJets. It’s never cool to talk about private aviation. Either you know nothing about it at all, or you are extremely familiar with it. In each instance, it’s better to keep quiet. But so much is happening in the space (not to mention space), it’s increasingly difficult not to shout about it. 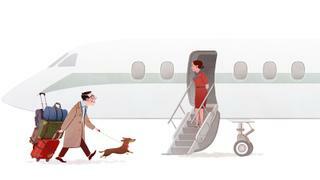 My own experiences of private aviation vary. I have some. And I consider myself fortunate about that. My experiences of commercial aviation vary also. When it comes to the former, all have been preferable to the latter. Period. The only drawback is that returning to the low-budget world of a company like Ryanair (those delays; that hellish, luminous yellow plastic interior; that inedible onboard menu that leaves you feeling hungover and suicidal, whether you have boarded post-DC10 or not) can be nothing short of traumatic. I jest. But everyone knows: once you’ve worn cashmere, it can be hard to go back to polyester. If you own a plane: great. And bravo. Those who manage to yield enough power and amass enough wealth to own their own aircraft, however big or small, have my full respect; this attitude is not superficial, it’s honest. If you don’t own but have a hefty budget, there are an increasing number of rental options available with private charter companies, while the advancements in technology mean that booking flights through a smartphone has become big business. In my opinion, NetJets is the best of these, and manages to uphold a standard of excellence on a global scale. It has a huge number of aircraft ready to fly at any time, which means there is room for last-minute spontaneity when booking. With NetJets, you select your exact departure and arrival locations. The Warren Buffett-owned company offers single and return flights for private individuals and groups on its own, and shared ownership deals in which you pay a fixed price per hour you fly. Planes are clean, staff are courteous and prompt. VistaJet does the same but owns its own fleet. 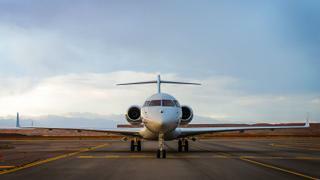 JetSmarter, Flexjet and Wheels Up are also worth looking into, for charters and fractional ownership. Then there is Surf Air. 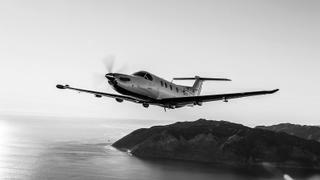 What Uber did for the world of the “private driver”, Surf Air has achieved in the private aviation space. With Surf Air, you share the plane with others. It’s calmer than commercial, cheaper than private. 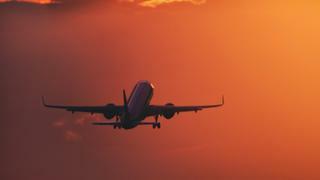 You pay a monthly membership fee for as many flights as you want or a single fare for a one-off round-trip, book via the app, and arrive 15 minutes in advance of a scheduled flight (it runs to a fixed timetable) at a number of Surf Air-ified private terminals – like you would for your own plane – and board a Surf Air-owned Pilatus aircraft with up to seven other passengers. It’s private flying for the masses (or a few of them). Surf Air planes traverse the West Coast of the US (East Coast to follow), Texas and nine destinations across Europe, with more routes to come. It’s a luxury that becomes a necessity, but not regrettably so, because the prices are relatively affordable (it’s all relative when talking about private aviation). Full disclosure here: the CEO happens to be my boyfriend, but that happened, I promise, after I tried the service. But don’t take my word for it, try it for yourself. If you are flying commercial but crave as much of the private life as possible, the Private Suite at LAX is a revelation. The concept is soon to be taken to a second outpost at JFK. For a one-time usage fee, you drive directly to the private complex by LAX airport. On arrival, you are ushered straight in to your own private accommodation (something akin to a private hospital suite, only with a way better stocked fridge). Kitchen-made meals are ordered in advance and delivered to the room. When it’s time to board your flight, you are whisked via a private immigration desk and security scanner into a car and driven directly across the runway to the plane door (if pushed for time, you could skip the waiting-in-the-lounge part, but that slightly defeats the point of the $3,000-plus fee). The driver waits until every other passenger has boarded, and you are then escorted to your seat. The ultimate in private aviation is obviously to own one’s own plane and have a well-trained crew amassed, prepped and on the ground ready to take off on demand, as often as needed. Sadly, I am not at that level, but have been hugely appreciative when invited on board by those who are. I shall not name-drop. It’s one thing to discuss private jet experience, but quite another to mention names associated with it. What I can say is that my first experience of flying on a private plane was on that owned by Sir Jimmy Goldsmith to his Mexican estate, Cuixmala. The trip took place during my university holidays, thanks to my aunt Carina Frost and her husband, my late uncle David, who asked me to nanny their three young sons, my first cousins, for the week. We boarded the Boeing 575, and while Jimmy retired to his bedroom (a proper situation with a double bed and en-suite bathroom), we all took our seats, whereupon one guest looked at me and asked, “Is there not somewhere separate for the staff to sit?” I did not mind one bit; I was relegated to the staff quarters by the cockpit which, with their comfortable, snug bunk beds, were infinitely preferable to any economy seat I have experienced. But that’s the thing about private planes: there is still an unspoken Downton Abbey-style upstairs-downstairs hierarchy on board. Staff – be they nannies, bodyguards or student au pairs – should not take up precious seats at the front. The same goes for children, unless they belong to the host. Those are the rules. I was once flown to Paris by Cartier, which held a vast and flashy launch party in a hangar at one of the private airports there. Boarding the plane at Northolt, London, in my Chanel beaded evening dress with Jimmy Choo heels and clutch bag, was one of the most liberating journeys of my life. No suitcase, no security check. To Paris and back to London in time for bed. That is the definition of luxury. Not to mention fun. 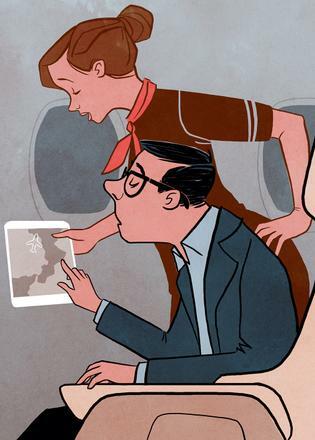 In a few instances, I have been on a plane where the host is also the pilot. I enjoy that because I have sat behind and watched them flying (I have even taken the “wheel” myself a couple of times; best few seconds of my life) and had a greater understanding of just how complicated, and brave, it is. In the meantime, when I do not have these luxurious invites to hand, I sit patiently in my commercial economy seat, grateful that I have experienced aviation cashmere. And vowing that one day, I will work so hard, I will be able to afford it myself.